Today, October 2nd, we celebrate the Feast Day of the Guardian Angels. 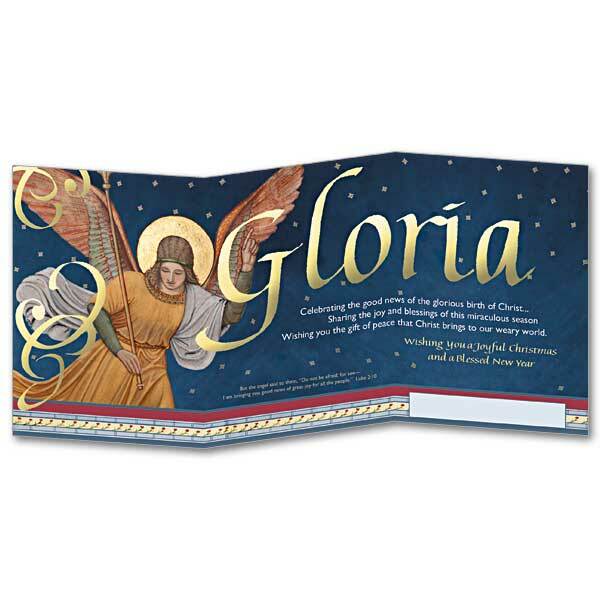 This year The Printery House is also offering a Christmas card (CH9004) that features a glorious angel, a detail from the mural painted by monks of Conception Abbey in the 1890’s, located in the Basilica of the Immaculate Conception, Conception, Missouri. This entry was posted in Uncategorized and tagged Christmas cards, Guardian angels, Religious wall art, The Printery House on October 2, 2015 by Printery House. Got great walls? Got great faith? Adorn them and express them with Christian wall plaques, art work or paintings. It’s trendier than ever to get creative with wall art, and today there are so many options for inspiring others who come to your home (or office) with your faith. You’re not limited anymore to traditional colors or the same list of traditional designs. In fact, Christian paintings are all over Pinterest and other social media sites because there are so many colors and styles in which to share the message of God’s love. You might choose to buy a pre-painted canvas with a bold verbal message, such as a verse, or one with a collection of words that reflect popular verses when placed together. If you like to think outside the box when it comes to Christian paintings, look for bold impressions of the face of Jesus or bold representations of the cross. As you explore your choices, you may notice that you can create this type of art by getting a blank canvas, some paint samples and delving into your own meaning behind your faith. Whether you create it or purchase it from great sources like The Printery House (a 60-year business with its own special story to tell) there’s no limit to what you can share with Christian paintings. In fact, you may find that this type of faith-filled artwork is the perfect solution to all your gift needs throughout the year, from confirmation and baptisms to weddings and holidays. Choose a few that reflect simple messages of hope and love and keep them on hand – you may be surprised to see how many chances you have to inspire someone when you’re ready with the right message. Look today online at our beautiful Christian artwork, here at the Printery House, and choose a special piece to share the message of Christ. This entry was posted in Christian Paintings and tagged Christian paintings, Christian wall art, religious decorations, Religious wall art, The Printery House, wall art on July 22, 2014 by admin. Want to know where art, faith and great decorating style meet? Check out new styles of Christian paintings and Christian wall art. From thoughtful and inspiring to whimsical and bright, there’s a wall art piece waiting for your home or that of a friend. Sometimes just a few words can be a powerful reminder of God’s love, so consider updating that room or home project with a wall plaque or several arranged together. Try having one as a central focal point, such as one with the famous message “Preach the gospel at all times, use words if necessary,” by St. Francis of Assisi. Looking for a gift for a teen or a newlywed? Consider a Christian painting with bright colors and a message that resonates with every demographic. 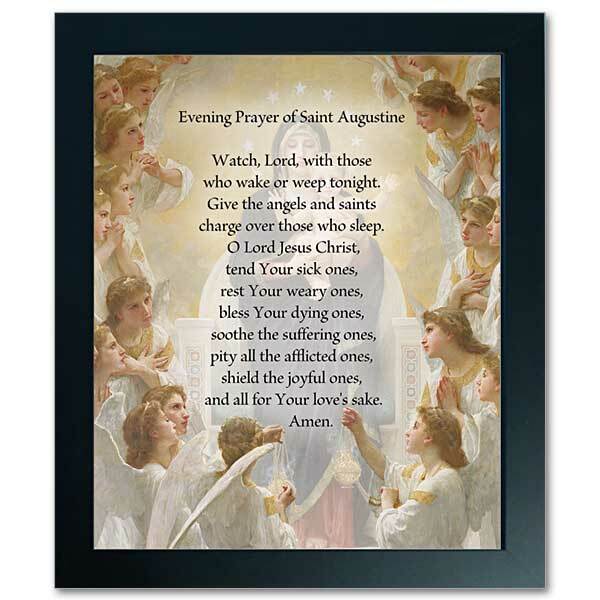 The artists and monks at The Printery House offer one with purples and blues in a modern style, sharing the message “We know that ALL THINGS work together for good for those who love God.” This type of framed Christian art works for all styles of décor. If you attend a baptism ceremony or a wedding, you may even want to jot down a scripture that was used during the event and then make your own wall décor to honor the moment using a blank canvas. You can pair your own creation with a framed poster or plaque of a similar design that you find online. Keeping a few of these great gifts like wall plagues, Christian paintings or sculpted gifts for home or garden in your gift drawer means you’ll be ready to share your faith and show someone how special they are. Don’t forget to pair it with a beautiful hand-designed card from The Printery House, nestled in the rolling hills of the Benedictine monastery Conception Abbey. This entry was posted in Christian Paintings and tagged Christian paintings, decorative religious wall art, religious paintings, Religious wall art, The Printery House on March 11, 2014 by admin.